Mumble is an open source VoIP system popular with gamers. As an alternative to Teamspeak that autoadjusts your volume and normalizes audio so there is no super loud or really quiet in chat sessions. 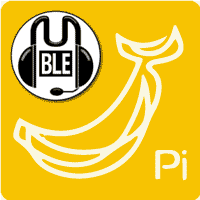 On the Banana Pi, you can create your own private Mumble server to share with friends, family or gaming crew. A common complaint of hosting your own Mumble server is that your IP changes periodically. Then you have to find out your new public IP address and tell your friends to use the new IP. 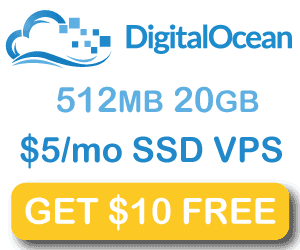 With this guide and free dynamic DNS that headache will be gone. You simply get a free dynamic DNS address like htpcguides.crabdance.com which is linked to your IP at home. The Banana Pi will update the dynamic DNS address every 10 minutes. Then you simply share the dynamic DNS address with your friends and they use that instead of the IP address. On top of this added convenience I show you how to protect your Mumble server with a password and brute force protection to ward off gaming trolls. This mumble server tutorial was tested on Debian Wheezy and Jessie, should work on Ubuntu as well. I recommend using Igor’s armbian images if you use a LeMaker Banana Pi model. 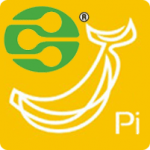 For other Banana Pi models use Bananian or whatever you are comfortable with. 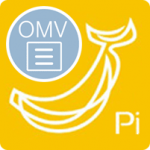 You can manage the Banana Pi Mumble server using your SuperUser account from your Windows or Mac computer running a Mumble client. First back up the Mumble configuration file. For additional security you set a Mumble server password, your friends will need this password when connecting to the Mumble server. This is the bit rate used by the Mumble server. The higher the bits per second the more CPU required to convert voice to data and back again. If the sound lags then lower this value, if you want better quality you can try raising this value. Find your eth0 or wlan0 section, your local IP is the address after inet shown highlighted in red below. You should consider using static DHCP or setting a static IP address for the Banana Pi in /etc/network/interfaces as it will make port forwarding much easier. 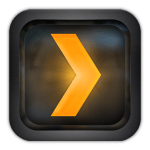 Now connect using the standard port or the custom port you set using a Mumble client. Now make it easier for your friends to find your server without memorizing your IP address by telling your Banana Pi to update your free Dynamic DNS address with your IP address as it changes. Remember to open the Mumble port on your router and forward it to your Banana Pi.